69 years ago, on Friday, February 13, 1942 future Monkee Peter Thorkelson was born in Washington, DC. You, of course, would get to know him as Peter Tork. 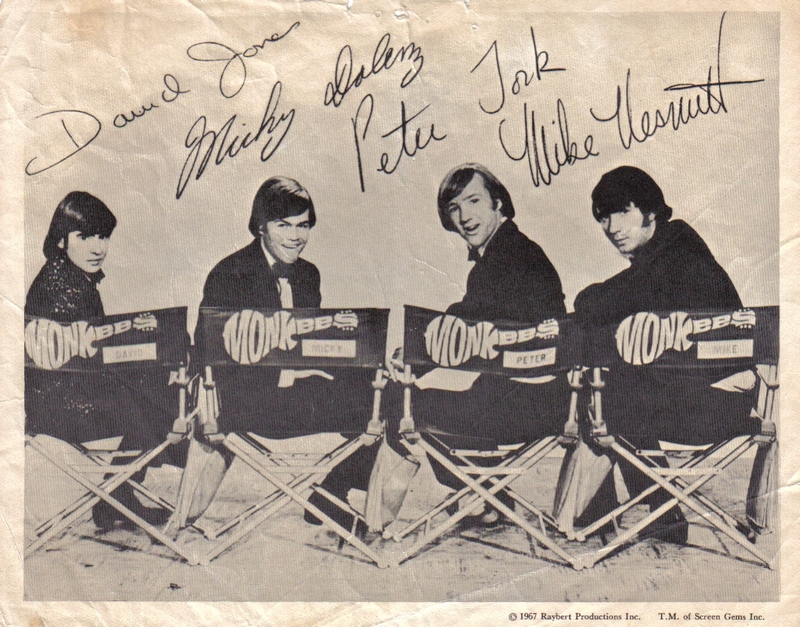 Publicity photo sent to fans of “The Monkees” during the shows run on NBC. Although it is well-known that “The Monkees” TV series (which premiered in September 1966) was created by casting actors in the roles of musicians, it is less well-known that some of the actors already had previous musical training. Such was the case for Peter Tork who could play piano, guitar, and banjo. It was Tork’s friend Stephen Stills who first auditioned for “The Monkees” and recommended Tork. But the series was, at first, ruled by its music director Don Kirshner who had the final say on which songs were recorded. In fact, Mike Nesmith, Micky Dolenz, Davy Jones, and Peter Tork weren’t allowed to play on early Monkees hits. After arguments with Kirshner he left the show and the actors flexed their musical prowess. 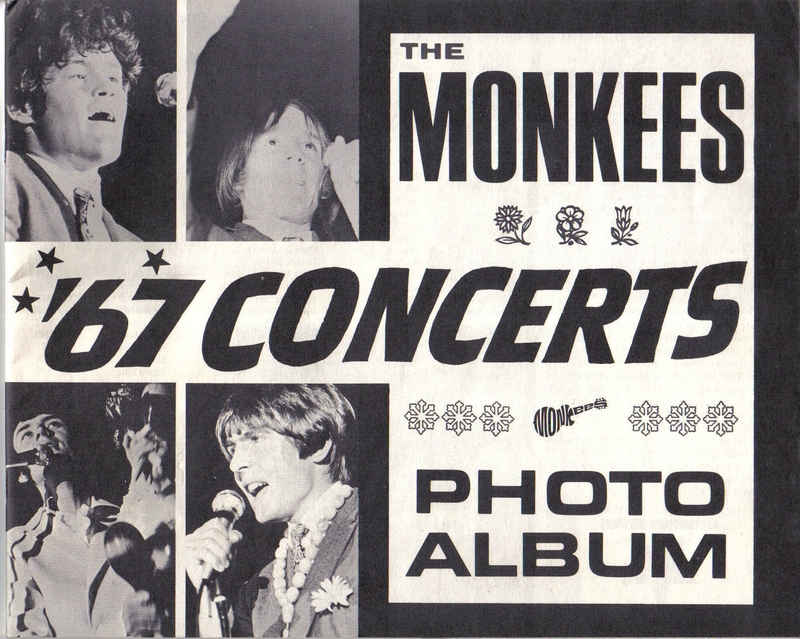 For two months in the summer of 1967, The Monkees toured the United States and abroad (London). Post-Concert tour booklet produced by Tiger Beat Magazine. I was lucky enough to see The Monkees play during that tour at the Forest Hills Tennis Stadium in New York City on July 14, 1967. My most vivid memory of that night is of waiting for The Monkees to finally take the stage. My recollection, as a 6-year old, was that they spent an inordinate amount of time tuning the guitars. What I found out years later is that the opening act for The Monkees on that tour was Mr. Jimi Hendrix! At the age of six I saw one of rock’s greatest guitarists play live… and I didn’t know it for another decade. I once told this story to rock promoter Sid Bernstein who loved the way my young memory locked-in on Hendrix as a guitar tuner. 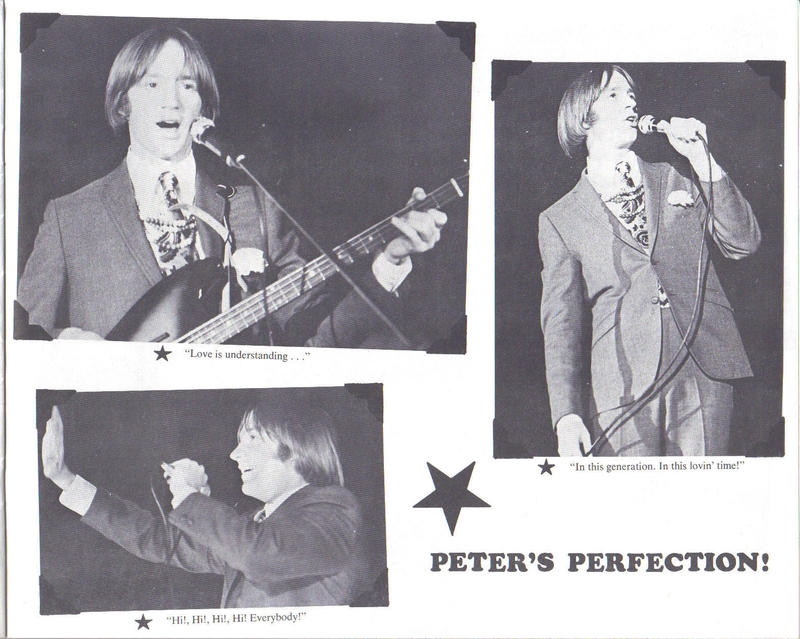 Photos of Peter Tork on tour, from the Tiger Beat Photo Album. By the end of 1968 The Monkees were finished; not only as a TV series, but as a rock band… and Peter Tork was the first to leave the group. There have been reunions over the years and semi-reunions as well, some of which Tork took part in, but you never forget your first real Beatles-inspired band.